It’s an exciting time for transition, and the way you’re seen in the world at large, Taurus, with exciting growth in your private life. In the last part of February you can broaden your scope, taking interests seriously! The month begins with an electric vibe, and lots of excitement for Taurus, as your ruling star – lady Venus – comes into perfect alignment with zany, restless Uranus. The two planets enjoy a moment of syncopation in your private realms – the area of dreams, serious commitments, of work behind the scenes, and life unspoken. Great things may now be making sense to you, and you may have a sweet break-through moment that makes your heart sing. 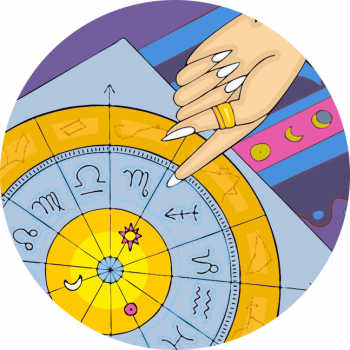 There’s also tension between Mars and Pluto in the early days of February, which might bring a challenging quality to your operations. If you need to rest, rest Taurus. Don’t allow pent up aggression to linger, hand it over and eradicate any toxicity! It might be necessary to wrestle with your beliefs, with shifts occurring at months end relieving you of certain outlooks. Between the 10th and the 14th prepare to pull back, and allow any waves of inspiration to spark; Mars will meet Uranus in your most subconscious zone, and it’s possible you’ll want to recharge, ready to receive whatever’s coming your way. Valentine’s Day itself could be explosive! A shift on the 14th sees Mars entering Taurus, which could allow you to express yourself far more easily, as you’re energized with the impetus to go for what you want. The weekend that follows can be magnificent, as lovely Venus in your educational zone meets enduring, wise Saturn. This could be a moment that allows you to affirm what you’ve been working so hard to learn. Saturn’s purpose is to help us master a certain lesson, and at this stage you could truly enjoy the education you’re receiving. Note your community or the collective can enhance your experience no end! The full moon on February 19th peaks at 3.54 pm GMT in your zone of romance, play, creativity and recreation! Look to the group or network of friends that help you to embrace your passions. Pisces Season follows, and brings a focus to your peer-to-peer relations, however the quality of interactions is a little illusive, as Mercury dances with Neptune and spins circles around social interactions. Go with the flow and don’t try to be too prescriptive around your sense of pleasure. The last week of February is interesting and promises big shifts – knowledge you’ve been striving to assimilate or projects that have been taking shape could now transition into new forms. You might now transform your sense of enjoyment or change direction, to allow for success. Maintain a curious outlook, and be prepared to pick up new skills to help navigate what life brings your way!